Forty years after the adventure of a life-time with his first wife and infant son, the Santa Cruz Nickelodeon Co-founder discovered letters he had written during a trip around the world to then one-year old, Eric Xerxes. ‘Zerky’ and his mom JoAnne, would each die suddenly within a few short years of surviving their always exciting, sometimes dangerous trip together in their VW Bus. Raney recently discovered the letters he wrote as a travelogue for his son to keep for posterity. 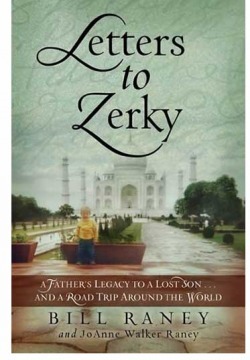 In memory of his first son and wife, he has published both a travel book of another time and place and a time-less story of great joy and deep heart-break.